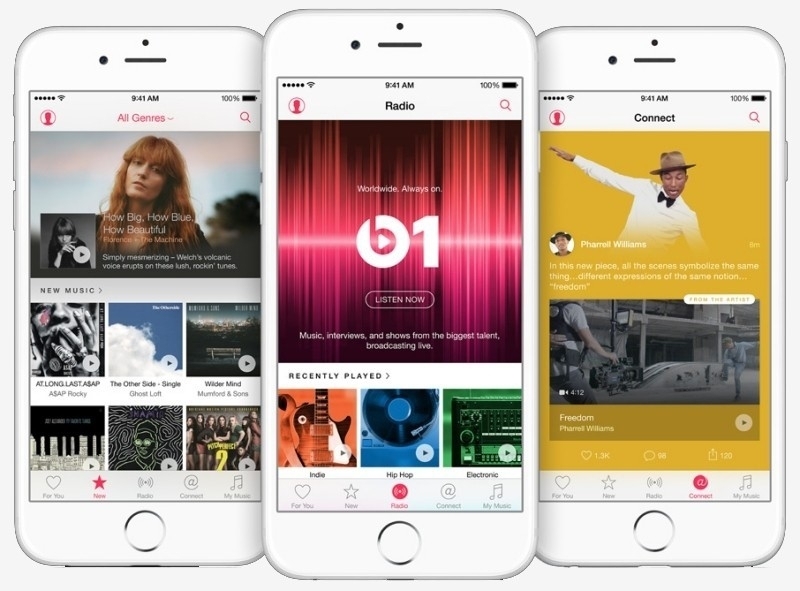 Apple Music launched at the end of June, notably offering subscribers a three-month free trial period which is just now concluding for early adopters. For those that have decided Apple’s streaming music service isn’t for them (or those that completely forgot about it and have now been hit with their first bill), we offer this brief guide on how to cancel the subscription. There are two ways to go about canceling Apple Music: either through iTunes for the Apple Music app itself. In iTunes, you’ll want to click your name at the top right of the screen then select Account Info from the drop-down menu. Under the Settings sub-menu, click Manage beside the Subscriptions label. On the next screen, you’ll see the Apple Music subscription – to cancel it, click Edit then toggle the Automatic Renewal option to the Off position. If you want to tackle the job in iOS, simply tap the Music icon go enter the app then tap the silhouette in the top left corner to open the Account menu. From here, tap View Apple ID, then Manage under Subscriptions and select the Apple Music subscription. You’ll have the option to disable auto-renewal at this point. Apple said in early August that it had issued 11 million trial memberships within the first month of launch, two million of which were family plans. It’ll be interesting to see how many users stick around now that the free period for early adopters had ended. Shouldn't this article have come out last week.